Friday, February 1, 2019 4:00-8:00 p.m.
Saturday, February 2, 2019 8:00-9:30 a.m.
Roman H. Wilke, age 94, of St. Rose, died Tuesday, January 29, 2019 at Breese Nursing Home. He was born October 27, 1924 in Aviston, a son of the late Bernard A. and Anna, nee Schrage, Wilke. He married Rosemary, nee Klostermann, Wike on April 20, 1949 at St. Francis of Assisi Catholic Church in Aviston and she died November 17, 2004. In addition to his parents and wife, he was preceded in death by a son, Richard Wilke; siblings, Rosemary Wilke in infancy, Sr. Dolores Wilke, ASC, Hugo Wilke and his wife Ruth, and Thecla Clements and her husband Herb; and brothers-in-law and sister-in-law, Otto Thole, Willie Weis, and Judy Wilke. Surviving are his children, Alice (John) Feldmann of Aviston, Janet (Rick) Musenbrock of Albers, Jeannie (Marvin) Frohn of St. Rose, and Bonnie Lococo of St. Peters, MO; grandchildren, Erin (Mike) Giampaolo, Kent (Kathryn) Feldmann, Kerry (Adam) Bray, Shelby (fiancé Drew Henderson) Musenbrock, Phillip (fiancée Beth Hatley) Frohn, Emily (Ryan) Emig, and Craig Frohn; great-grandchildren, Aston Henderson, Violet and Scarlett Giampaolo; and siblings, Genevieve Thole of St. Rose, Ben Wilke of Pittsburg, PA, Ann Weis of Pierron, and Tom Wilke of Highland. Roman was a self-employed grain and dairy farmer and a member of St. Rose Catholic Church and Holy Name and the St. Rose Development Club. Roman enjoyed music, a talent he picked up from his father, and even though he could not read musical notes he played the accordion by ear. 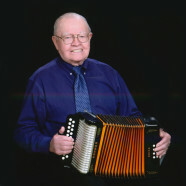 He played in a band in his younger years, and was very well known in the area for entertaining all ages with his accordion. He also enjoyed playing cards, bingo, horseshoes, but most of all spending time with his family. Funeral Mass of Christian Burial will be Saturday, February 2, 2019 at 10:00 a.m. at St. Rose Catholic Church in St. Rose with Fr. Edward Schaefer and Deacon Linus Klostermann presiding. Interment will follow in St. Rose Cemetery. Visitation will be Friday, February 1, 2019 from 4:00-8:00 p.m. and again on Saturday, February 2, 2019 from 8:00-9:30 a.m. at Moss Funeral Home in Breese. Memorials may be made to Mater Dei Catholic High School, Aviston Elementary Band, or St. Rose Elementary Band and will be received at the funeral home.